Note: BA1, BA2 etc in the picture are business areas. FA1, FA2, etc in the picture are functional areas. Configuration links – screenshots and Transaction codes are mentioned above, please click on them or open them in a new window. what is define of enterprise structure in sap ? 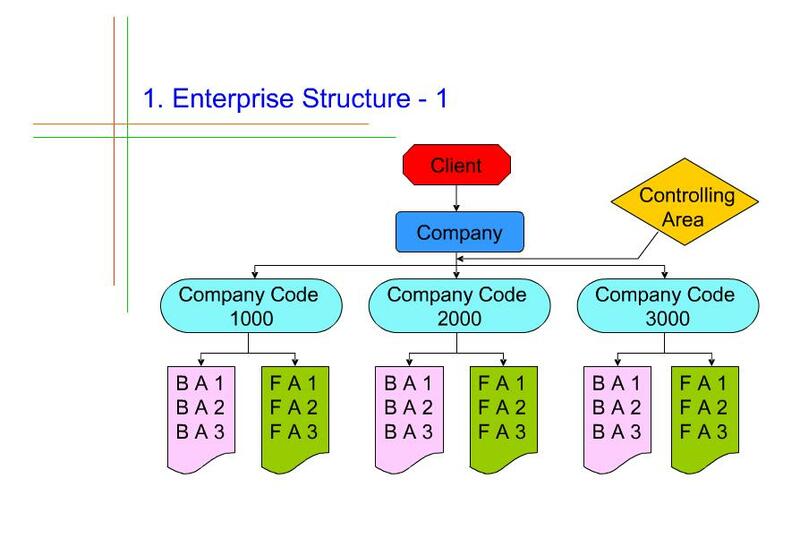 It is structure in the R/3 system an organization by the function like the product ,sales,purchase,accounting,costing,fulfilling the legal requirement of the country in sap.